Chances are you know someone who is gay--a coworker, family member, or friend. And chances are, as a Christian, you're not exactly sure how to relate to this person. While the church has been pretty good at -hating the sin, - it hasn't really known how to -love the sinner- without fear of condoning a homosexual lifestyle. 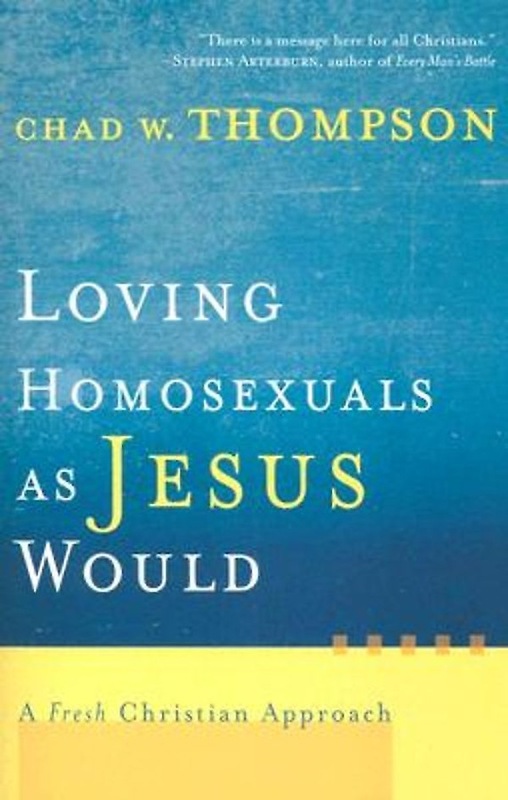 Chad Thompson, a man who has struggled with homosexual feelings, argues that -homosexuality needs to be solved through relationships.- Drawing from the life and words of Jesus, Thompson gives readers permission to love and befriend homosexuals before they change--and radically, even if they never change--their sexual orientation. This candid book includes an appendix of additional resources. It will be a valuable tool for pastors, teachers, counselors, and any Christian who knows someone who is gay.